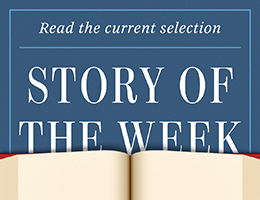 A host of American literary works from the early 1920s entered the public domain on January 1. At last, any publisher can reissue them and any writer or artist is free to re-imagine them as the basis of a new work. When the controversial Copyright Term Extension Act (CTEA) extended the licenses for works from seventy-five years to ninety-five years after publication, it effectively locked in for another generation the copyright of texts published between 1923 and 1977. Works published in 1923, which would have entered the public domain in 1999, were instead protected until 2019. Kulka cautioned, however, that works of literature entering public domain can turn up in shoddy, substandard new versions that rely on corrupt texts or offer little or no editorial annotation. “Whether or not we’re doing a service to readers or an injury depends entirely upon the quality of a particular edition,” he said. The Able McLaughlins by Margaret Wilson (Harper & Brothers, 1923). The ending of the restrictive publishing environment created by the 1998 law means that LOA is finally free to proceed on multiple fronts. In the coming months we expect to make available carefully prepared, authoritative editions of selected titles entering the public domain in eBook editions and/or paperback reprints. Among the new and forthcoming titles are eBooks of Edith Wharton’s A Son at the Front, Sherwood Anderson’s Many Marriages, and The Able McLaughlins, a 1923 debut novel by Margaret Wilson that won the Pulitzer Prize—and more are on the way.